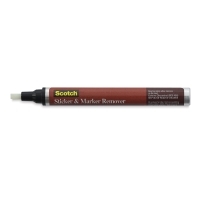 An adhesive remover pen is the easy, fast way to take adhesives, marker, and crayon off walls, lockers, desks, glass, folders, and more! Remove grime from studios or work sites. It's great for crafts and memory books too. 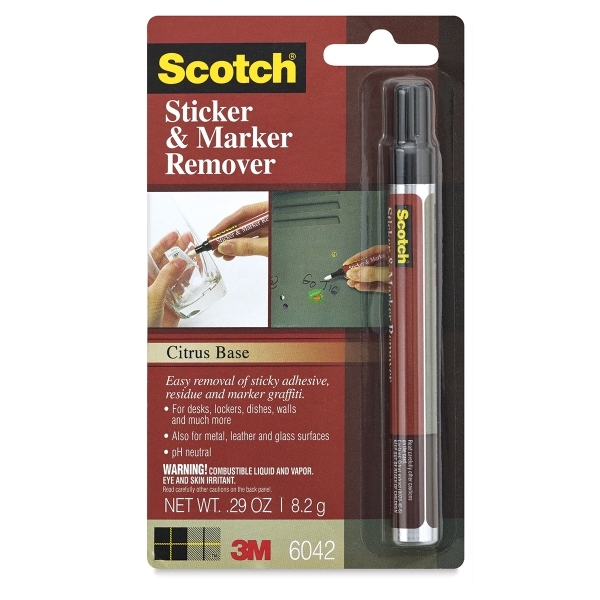 3M's citrus-based solvent is acid-free, photo safe, and simple. pH neutral. 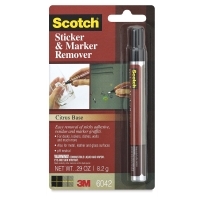 ® 3M is a registered trademark.™ Scotch is a registered trademark of the 3M company.